Saint Clare is known for warding off invading soldiers while kneeling in prayer holding a monstrance. 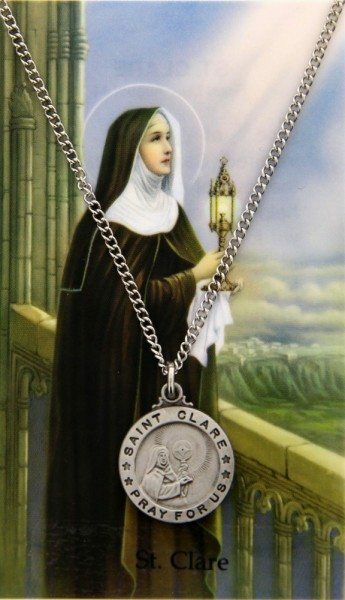 She was an avid follower of St. Francis of Assisi and started the Order of Poor Ladies which is now known as the Order of Saint Clare. Saint Clare of Assisi is the patron saint of eyes and Television.